Wild cherry flavor has a tart and sweet taste. The balanced tart-sweet taste is what completes your drinks, desserts or pastries treats. Type: Wild Cherry Water soluble flavoring. Ingredients: Natural and Artificial Flavoring, Water, Ethanol and Propylene Glycol. USP Kosher Grade Flavoring. Usage Rate: 15-20% for E-use. Flavor suitability: Desserts, cakes, pastries, smoothies, drinks, beverages, baked treats and more. Specific Gravity: 1.10 No Refunds on Flavoring. 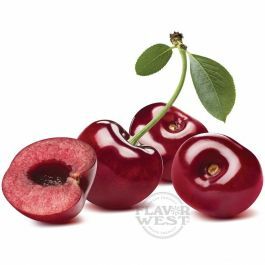 I have been trying to make Cherry Lifesaver e juice. The flavor of this is pretty close and very good at 20% flavor. After vaping it a few days, I realized the flavor is nearly spot on for Cherry ICEE. Bought 4 ounces, so I will have ICEEs for a while. good for adding to mixes. very strong so alittle goes along way. add sweetner and sour for a jolly rancher taste.